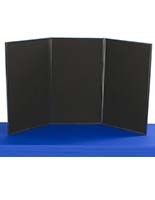 This brochure rack for trade shows works with our receptive fabric walls. 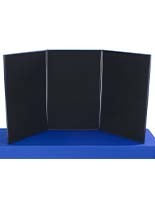 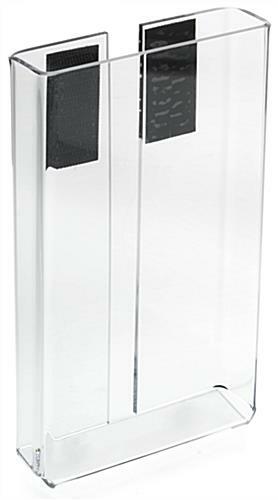 This one-pocket literature stand dispenses information to customers so they can stay in touch with your business after they leave your booth. 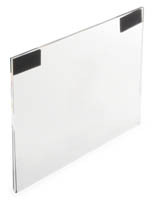 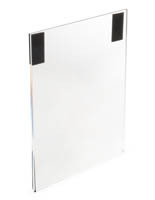 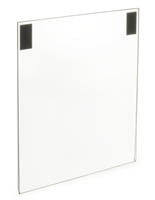 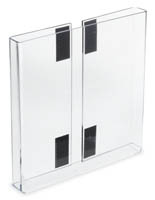 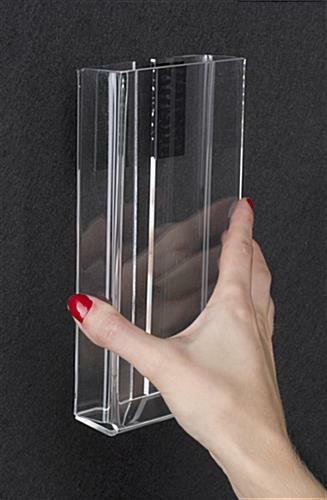 This rack for pamphlets with a 4" wide opening is made of clear acrylic for maximized viewing of the contents. 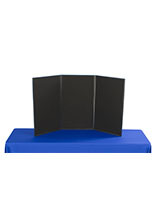 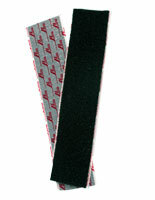 This display is fastened with hooks and loops -- no tools or hardware required! 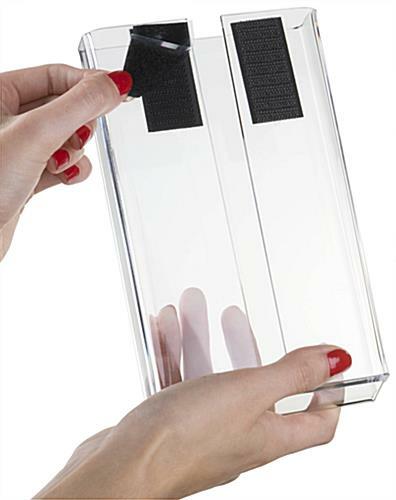 4.5" x 7.3" x 1.3"
4.0" x 7.3" x 1.0"